Programs run by FMC Arenas, the company that manages Plymouth and Taunton rinks. The best team in the National Hockey League. Program designed to enhance skating and stick handling skills. Canada's best youth ice hockey instruction training manual for coaches, players and parents. State organization governing youth hockey. Private skills training sessions offered by Monday night skills instructor Heath Gordon. 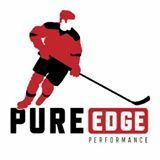 Individual or small group private training sessions available to work on skating, shooting, puck handling, or game sense. Standings and information for A and B teams. National organization for college hockey. National organization governing youth hockey. National organization for Junior Hockey programs. Standings, Schedules and information for C teams.